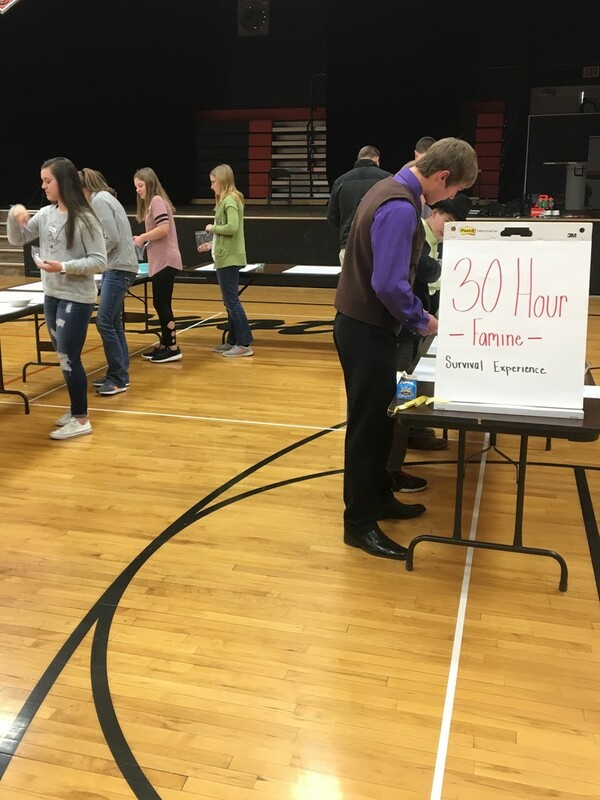 FFA hosted a Famine Survival Experience. Participants walked thru a maze stopping at 15 locations along the way that described real life circumstances that affect people in the world. Each of these circumstances often leave families vulnerable to homelessness, hunger, and poverty. Students were placed in different groups that correlated with an underdeveloped country to show how people in the United States are much more fortunate than that of people in third world countries.